Yeasts are integral parts of phylloplane communities of temperate regions, where ecosystems are not only influenced by short-term fluctuations in abiotic conditions, but additionally by cyclic seasonal changes. Phylloplane yeasts possess physiological adaptations, such as pigmentation and extracellular polysaccharides that enable them to resist harsh conditions encountered in these environments. Additionally, through production of plant hormone-like metabolites, they also might influence the behavior, fitness, and growth of their plant host. Here we review how the understanding of yeasts in this environment has improved in the last years due to discoveries in new habitats, new developments in taxonomy, but also the application of environmental sequencing and genomics. 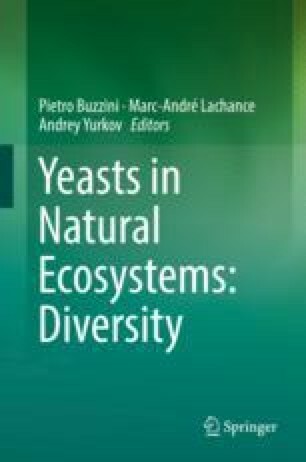 These new technologies, as well as traditional approaches, have made it clear that yeasts are not only occupying this environment to gain nutrients, but they are active participants that shape the structure of microbial communities by diverse interactions with other community members.